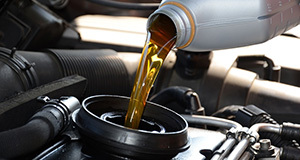 Auto Service At our Prestige Toyota service center in Mahwah, NJ, all our automotive technicians are certified professionals, with several years of experience. No matter the make, model, manufacturer, and body style, our technicians are able to handle any vehicle issue and resolve it accordingly. Although our showroom is located in Ramsey, NJ, off New Jersey Route 17, we have our service center in Mahwah 16 McKee Dr, Mahwah, NJ 07430. Thus, we can accommodate people coming from Ramsey and Mahwah, in addition to Ridgewood and beyond. 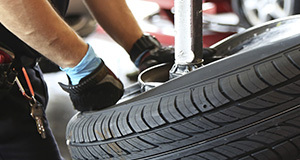 Our service facility hosts the largest volume tire center in the New York-New Jersey region. The state-of-the-art Prestige Toyota Service Department is located in Mahwah NJ, just a short distance from the Ramsey NJ showroom. Customers within a 10-mile radius enjoy free shuttle service to and from the Service Department, which boasts more Toyota factory-trained Master Technicians than any other dealership in the U.S. . while our service staff is working on your vehicle, you can hang out in a waiting room that has a Wi-Fi hotspot for wireless Internet access. If you don’t bring a laptop or tablet computer with you, we have a line-up of iPads to loan. And if you want to spend the free time catching up on online work, there are quiet working spaces to retreat to. For refreshments, we offer coffee, espresso, and bottled water. And the kids will definitely find something to do, as there’s a large collection of coloring books and a play area. Otherwise, you can hop on a shuttle to shopping centers and restaurants nearby, or get a ride back home and be driven back when your ride is ready for pick up. 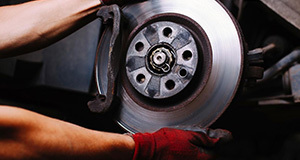 Indeed, some repairs might qualify you to get a loaner car, which you can use until we are done with your vehicle. 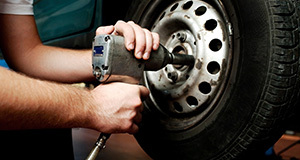 At Prestige Toyota’s service center, we take great pride on only using original equipment manufacturer (OEM) parts. So named because they are made by the car’s manufacturer, OEM parts are thus guaranteed to work—and work well—on your vehicle. 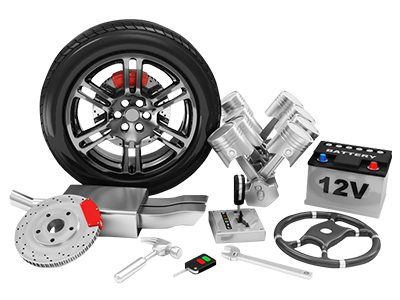 With aftermarket parts, you are always taking a chance with its manufacturer, which is a third party that cannot always guarantee quality, let alone that it will work. 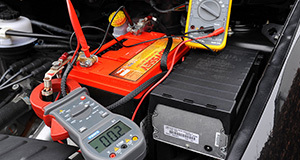 Also, OEM parts are always backed by warranties, which are always crafted to your benefit. So, in the rare instance that the part is defective, the car company replaces it at no charge to you. This is in sharp contrast with the makers of aftermarket parts, some of who do not even offer warranties; even if they do have warranties, they do not have the coverage range of OEM warranties. Ultimately, Prestige Toyota deals with—and will continue to deal with—OEM parts only.